Click on a book cover to learn more about it, including how to purchase. The Rural Life of England by Capt Mayne Reid is now available at AMAZON.COM $15.99 plus tax and shipping. The Rural Life of England consists of twenty-six letters or articles that were written by Victorian-era author Capt. Mayne Reid, celebrated on both sides of the Atlantic for his adventure novels, during the final full year that he and his wife Elizabeth resided at Frogmore, the country home they rented in Herefordshire, not far from the village of Ross-on-Wye and also the English-Welsh border. Intended for an American readership, these informative, factual letters were published at weekly intervals in the New York Tribune between April 2 and September 24, 1882. A separate letter, “The Failure of the English Hay Crop,” is included, although it was not a part of the series. So far as known, none of these letters have appeared anywhere else in print since their original publication in 1882. 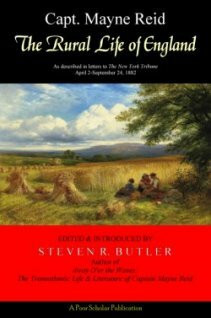 The Rural Life of England was transcribed and edited by Steven R. Butler, author of Away O’er the Waves: The Transatlantic Life & Literature of Capt. Mayne Reid. Butler has also written a brief biography of Reid for his volume, as well as an informative Introduction. Steven R. Butler's The Forgotten Soldiers is now available at AMAZON.COM $12.99 plus tax and shipping. 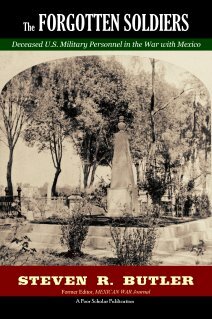 The Forgotten Soldiers is the tragic tale of how the remains of U.S. military personnel who died during the 1846-1848 War with Mexico were, and continue to be, singularly forgotten and neglected by the United States government. Originally written in 1999 as a graduate school thesis, The Forgotten Soldiers, is, unfortunately, no less timely today (2017). 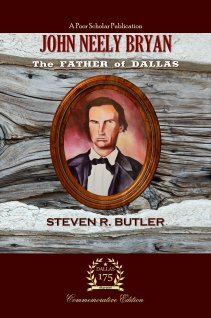 Steven R. Butler's John Neely Bryan: The Father of Dallas is now available at AMAZON.COM $15.99 plus tax and shipping. John Neely Bryan: The Father of Dallas is not only the story of the founding father of one of America's largest cities but also the story of the individuals, largely journalists, who wrote about Bryan in the past. Drawing both on their work and his own original research, Butler has managed to produce a scholarly but readable narrative that forms the most complete picture of the enigmatic Dallas founder that's been published to date. 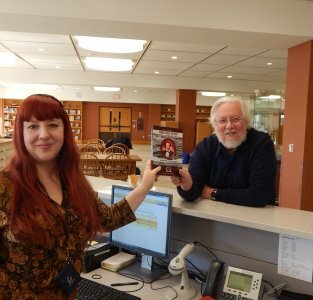 On Wed., November 23, 2016, Butler donated a copy of his book to the Dallas and Texas history department of the Dallas Public Library. He has also donated a copy to the library of Richland College, where he teaches U.S. History. 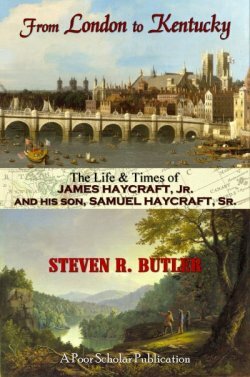 Steven R. Butler's From London to Kentucky is now available at AMAZON.COM $12.99 plus tax and shipping. During the colonial era, English courts sentenced tens of thousands of petty criminals to "transportation" to the colonies in North America. From London to Kentucky is the true story of one of those convicts, a London chimney-sweep named James Haycraft, Jr. who after being apprehended for committing a burglary, soon found himself first in London's notorious Newgate Prison and then, after a brief trial, in chains aboard a ship bound for Virginia. There, after serving out his seven-year sentence, James was married and started a family. The story continues with the experiences of his son, Samuel Haycraft, Sr., who after serving on the frontier during the American War for Independence, became one of the founders of Hardin County, Kentucky, an employer of Abraham Lincoln's father, a sheriff, and a respected Kentucky state legislator. 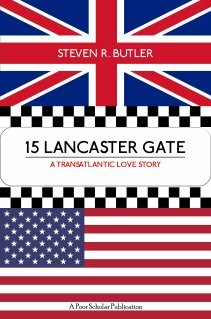 Steven R. Butler's 15 Lancaster Gate: A Transatlantic Love Story is now available at AMAZON.COM $11.99 plus tax and shipping. 15 Lancaster Gate is the extraordinary true story of a young American sailor, who at the close of the 1960s, unexpectedly spends a week in “Swinging London,” where between escapades, he meets the girl of his dreams, only to be stymied by a situational mix-up. From London, he travels to the Netherlands, back to England, out to sea, and then to Germany and Denmark (and back to sea again), before returning to the British capital, where at long last he has a second chance for romance. Before love can blossom however, the sailor and his new-found English girlfriend must overcome obstacles that threaten to keep them apart. Set against the backdrop of the Cold War, this oftentimes humorous memoir will surely make you laugh while at the same time touching your heart. 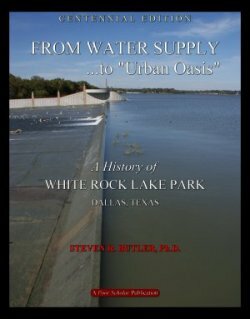 After five years out-of-print, the Centennial Edition of From Water Supply to Urban Oasis: A History of White Rock Lake Park, Dallas, Texas, by Steven R. Butler, is available again at AMAZON.COM $14.99 plus tax and shipping. From Water Supply to Urban Oasis was first published in 2004. It was adapted from a two part series originally published in Legacies, A History Journal for Dallas and North Central Texas in 2002 and 2003. A revised, expanded, and improved 84-page "Centennial Edition" was published in 2011, to commemorate the 100th anniversary of the completion of the White Rock dam. Only three hundred copies were printed and sold in 2011. Finally, here's your chance to own a copy of this thoroughly-researched and informative history of one of Dallas' most beloved public playgrounds! Copyright © 2016-2017 Poor Scholar Publications. All rights reserved.